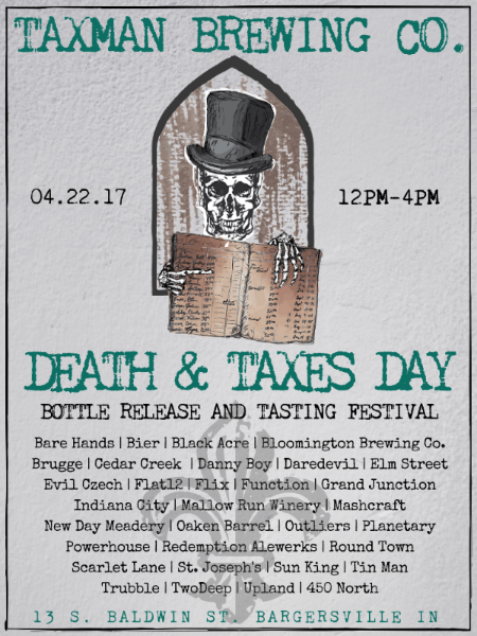 “…in this world, nothing can be said to be certain, except Death & Taxes.” Death & Taxes Day is an outdoor bottle release and tasting festival, featuring 30+ Indiana-proud breweries, select wineries, live music and local food trucks. We’ll open up our brewery and production space during the event, allowing guests to take a tour while sampling some of the finest beers from around Indiana! Taxman Brewing Co. will release a special beer for the event, Evasion (formerly known as Death & Taxes). Evasion is a rich, roasted and robust Belgian-style stout aged with Indonesian vanilla beans and rested several months on Kentucky-whiskey barrels. Bombers of Evasion (22oz) will be available for purchase exclusively at Taxman on the day of the festival for $20 per bottle (subject to the limitations above). 22oz bottles Cocoa Vanilla Evasion will be available for $25 per bottle in a very limited quantity. Any remaining bottles will be sold at Taxman, no bottles will be sold through third party retailers. 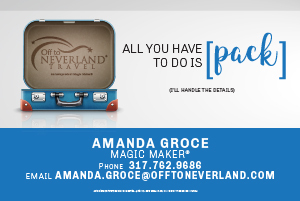 All attendees MUST be 21+ years of age. A valid 21+ ID will be required for entry regardless of type of ticket purchased. Tickets are available at http://www.etix.com/ticket/p/4716564/death-taxes-day.